After the Bible, I will declare that Imagine by Steve Turner has been the third most important book I’ve read since I became a Christian almost 10 years ago. I will include this book along with Total Truth by Nancy Pearcey and Word Pictures by Brian Godawa as the books that has shown me Christianity and the Arts are not on the separate ends of the spectrum. “Positively, the world is all that God made and Christ came to redeem. This includes culture because humans have never lived in isolation from each other, and when they get together they automatically create culture. It would be impossible to think of loving humans and yet hating human culture, of loving individuals and yet hating their music, songs, stories, paintings, games, rituals, decorations, clothes, languages and hairstyles. God made us cultural beings. In that quote from Steve Turner’s book, he gives us a view that God is cultural and we as human beings who are made in his image are cultural as well. He writes in Imagine that the Christian Artist should be embraced by the Church and the artist should also embrace the Church even though he or she may feel isolated from it. Turner gives a historical perspective on the relationship between Art and Christianity. Also, he writes about his own transformation as a Christian Artist from his studies at L’Abri in Switzerland to being a writer, journalist, and poet in current day London. What made this book so important and relevant to me is that how sound Christian Theology and Art are intertwined. Art is not meant to be look at with skepticism and even hostility by the Church. Art is not necessarily meant to be a ministry. And Art is also not meant to just shock people. Art is meant show God’s ability in giving human beings creativity like he has (but on a much smaller scale) and ultimately glorifying him. If we keep a solid Christian foundation and grow in our relationship with Him, the art will reveal who He is more than any sermon, bible study, or theological discussion could ever do. Also, Turner talks about how Artists are easily open to new forms and ideas because of their artistic nature and they must be mindful of the dark side of Art. He gives a warning to artists not to become “Lone Ranger Christians” just because the regular Christian doesn’t understand your need to be artistic. If Artists love God like they declare in their work, then you must love his Church. 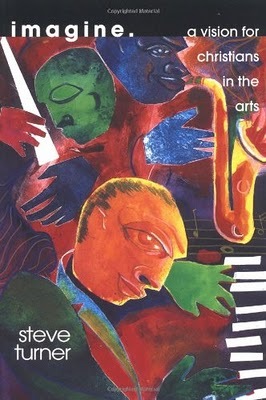 I will give this book my highest recommendation for Christians who are artists. Also, for Christians who love the arts. And for Christians who want to get a better understanding of how Art is truly something from God and not meant to be separated from the rest of Christianity.